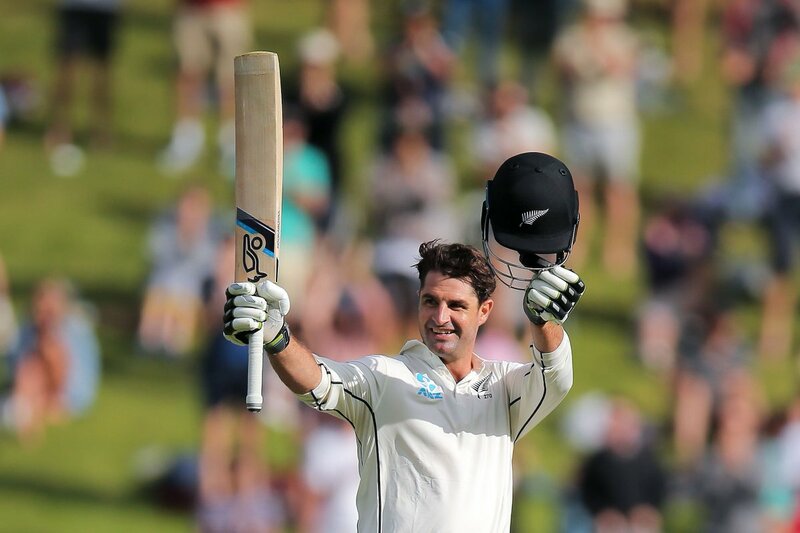 Wellington, Dec 2: New Zealand rode on all-rounder Colin de Grandhomme's maiden Test ton to thrust New Zealand to 447/9 on the second day of their opening Test against the West Indies at Basin Reserve here on Saturday. De Grandhomme's quickfire 71-ball 105 along with half centuries from Ross Taylor (93), Henry Nicholls (67) and Tom Bundell (57 not out) gave the hosts a mammoth 313-run first innings lead in response to the tourists' 134. De Grandhomme struck 11 fours and three sixes to bring up the second fastest Test ton by a Kiwi batsman. Debutant Blundell played the perfect supporting act in a 148-run seventh-wicket partnership with de Grandhomme to put the hosts in the driver's seat. Earlier in the day, veteran Taylor and Nicholls shared a 127-run diligent stand that left the West Indies with insufficient resources to counter the lower order. Resuming the day at 85/2, New Zealand lost the wicket of overnight opener Jeet Raval (42) before Taylor and Nicholls consolidated the innings to take it to 181/3 at the lunch break. For the visitors, pacer Kemar Roach was the pick of the bowlers, returning with 3/73 while Miguel Cummins and Roston Chase picked two wickets each. Shannon Gabriel and skipper Jason Holder also contributed with a scalp each. Brief Scores: West Indies 134 vs New Zealand 447/9 (Colin de Grandhomme 105, Ross Taylor 93, Henry Nicholls 67; Kemar Roach 3/73).